Karley and Carter are an incredible couple, and so much fun!! Karley is a dancer/performer and tours the world as a Disney Princess, playing Snow White! These two were so easy-going and friendly, and I had an awesome time getting to know them and photographing their engagement session!! 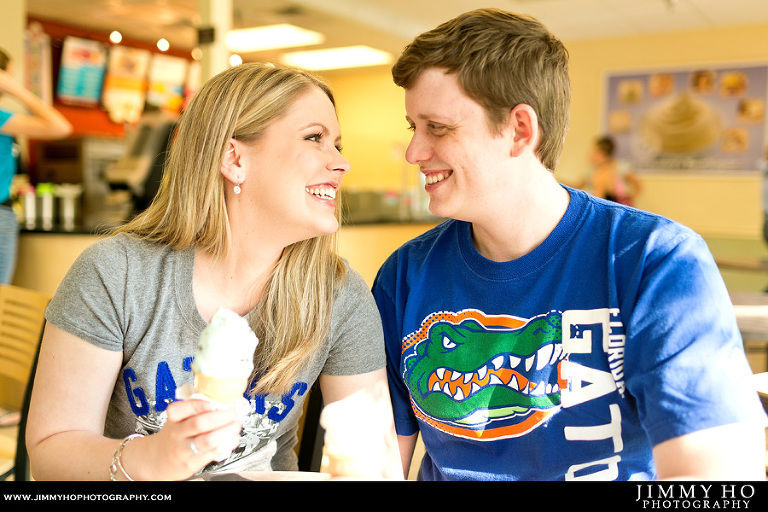 April and I are both looking forward to photographing their wedding next month at Trinity United Methodist Church! 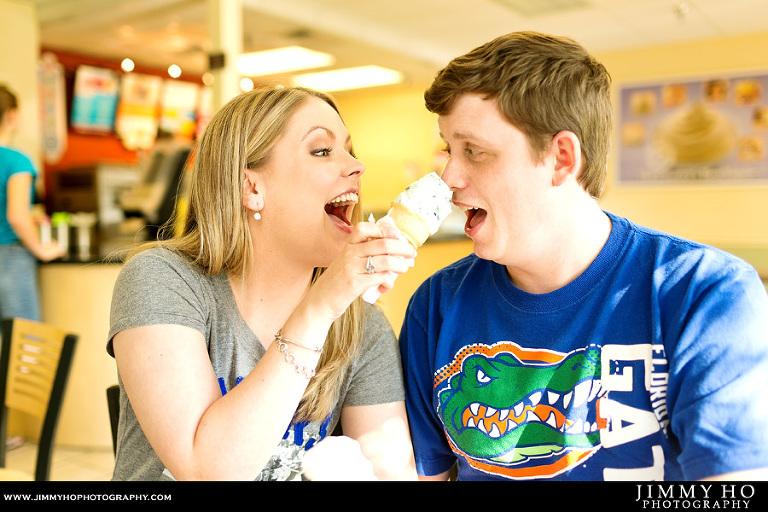 In the meantime, please enjoy some images from their engagement session! 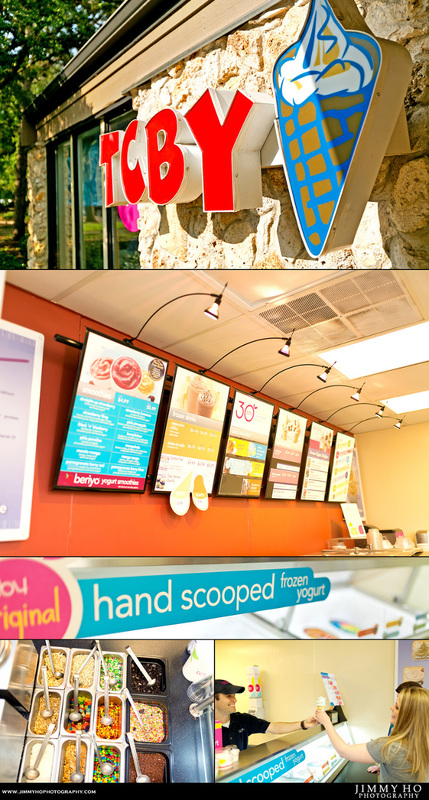 We started out at the TCBY in Thornebrooke Village, where they had some fond memories! All images © 2012 by Jimmy Ho Photography, a Gainesville Wedding Photographer.